Quantum Materials Corporation announces securing 3D printing and additive manufacturing anti-counterfeiting quantum dot detection technology developed at the Institute for Critical Technology and Applied Science and the Design, Research, and Education for Additive Manufacturing Systems (DREAMS) Laboratory at Virginia Tech. 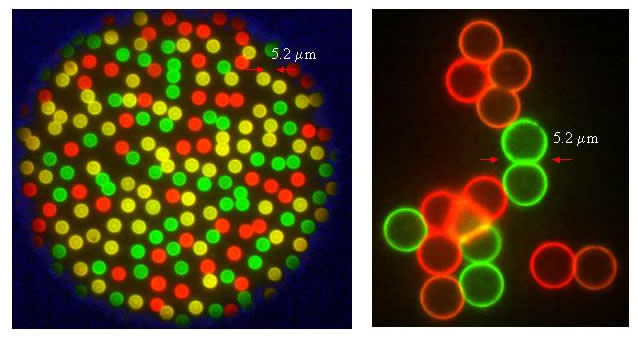 The technology embeds quantum dots within objects being 3D printed to produce a unique, physically uncloneable signature known only to the object’s manufacturer. This new quantum dot security method will help to ensure positive identity of any particular object through a wide variety of application and detection methods. Novel uses of embedded nanomaterials cover a wide field of growing industries of encryption, secure key exchange, the protection of hardware from tampering and other secure identification needs. Besides the inherent nature of the process technology from Virginia Tech that enables unique signatures, Quantum Materials offers unique semiconductor nanomaterials that physically increase these security measures by not only emitting different colors of the spectra from blue to red, but by using tetrapod quantum dots with precise structural characteristics, or dual emission tetrapods that can emit two different colors. The combination of unique process and nanomaterial dramatically improves the security strength, in a similar way that moving from 128-bit to 256-bit encryption increases confidence in a nearly-unbreakable key. According to an industry report by Allied Market Research, the “Global anti-counterfeit packaging market accounted for $57.4 billion in 2013, which is forecast to generate revenue of $142.7 billion by 2020 at 13.9% CAGR from 2013-2020.” Other new research from Global Industry Analysts says that the food and pharmaceutical industries are currently the most vulnerable to the actions of counterfeiters and the global market for anti-counterfeiting technologies could reach $82.2B by 2015.